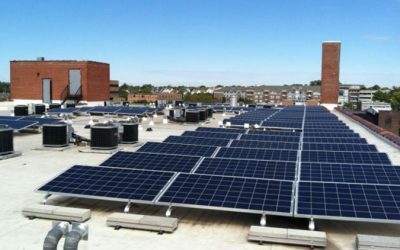 Los Angeles Business Journal— A 2.6-megawatt rooftop solar array has been installed on top of a warehouse in Sun Valley. 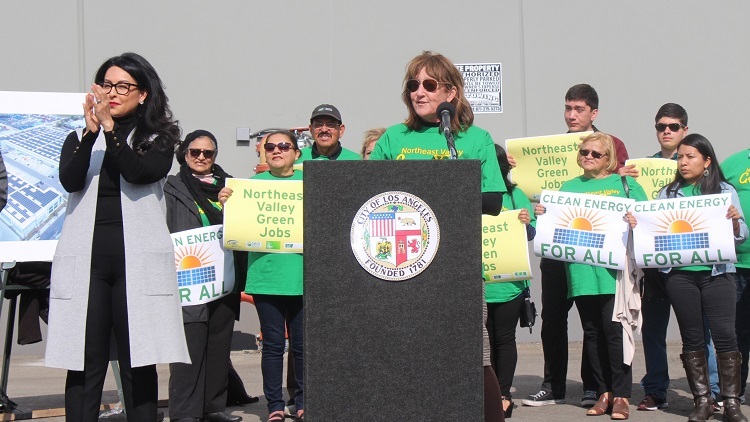 Los Angeles City Councilwoman Nury Martinez spoke at the opening Thursday and flipped the switch to turn on the installation. 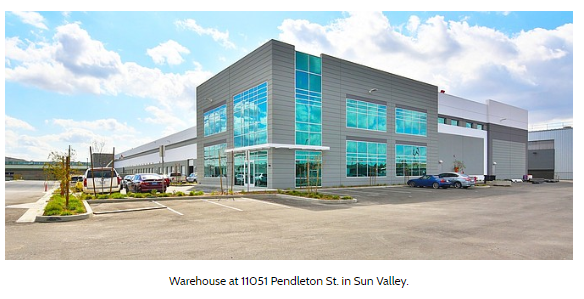 The warehouse, located at 11051 Pendleton St., houses the operations of delivery service OnTrac. It is owned by Xebec Realty in Seal Beach. 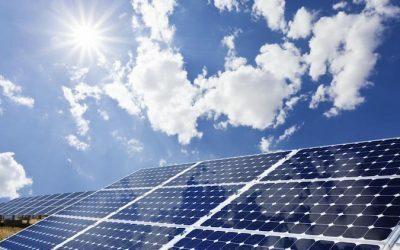 It is the area’s largest solar interconnection and will produce enough energy to make about 1,000 homes carbon-free, according to a press release. PermaCity Construction Corp. developed and installed the panels with subcontractors PermaCitySkyBridge and Stronghold Engineering. 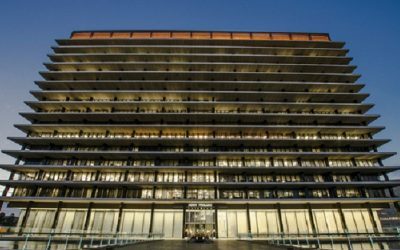 The installation supports the Los Angeles Department of Water and Power’s Feed-in-Tariff program, which encourages property owners to generate zero-carbon energy through rooftop solar panels and sell that energy at a fixed rate to LADWP for redistribution.